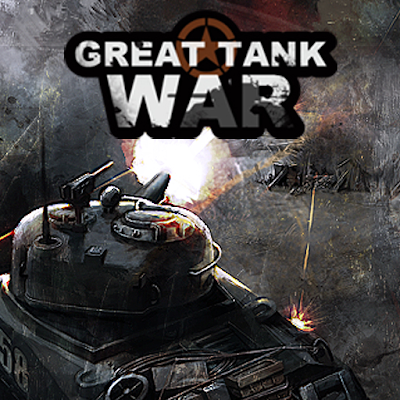 June 30, 2010 (Seoul, South Korea) Nate Games, creator of dozens of exciting mobile gaming apps for the iPhone and iPod Touch, has announced the release of their newest real masculine arcade game, Great Tank War. Great Tank War is a fully-rendered 3D arcade-style combat game that takes players on a historically accurate journey through the battles World War II. Great Tank War is available on the iTunes App Store. Great Tank War delivers a full 3D gaming experience complete with meticulously researched weaponry and military scenarios. The game pits the formidable Sherman tanks of the U.S. army against the notorious German Tiger tanks and other advanced weapons. Players must strategize and blast their way through a series of increasingly challenging battles, as they fight for the fate of the free world. Great Tank War features intuitive, easy-to-use controls, which makes for a truly addictive gaming experience for skilled gamers and a short learning curve, for those new to mobile gaming. Players can unlock various tank armor to upgrade their defensive capabilities and can also access 5 unique weapon types— AFV 75mm cannon, Pounder Firefly, Flamethrower, Calliope and 105MM howitzer—to maximize their firepower. Intelligent AI opponents create a true challenge and adjustable difficulty levels ensure that Great Tank War has great replayability. For more information, or to download Great Tank War, please visit the iTunes App Store. level 41 is too much difficult. I purchased some extra item but cannot beat anyhow. can somebody tell me what "splash" is what about "AR" i cant find a faq sheet or a guide any were. level 48! How can you mow down all the enemy when time is up but just half of them show up? '26 tanks and 35 soldiers' but I can just only kill 7 and 17 every time. If you search the internet about the feedback you can see how many players are stuck in this level. Please fix the problem asap.